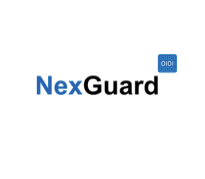 Eindhoven (The Netherlands) and Paris,September 1, 2015 – NexGuard, a Civolution Company and the leading provider of forensic watermarking technology and solutions and ATEME, a global leader in HEVC, H264, MPEG2 video compression solutions,will launch a joint solution for the forensic watermarking of pre-release High Dynamic Range (HDR) video content at IBC. The forward-thinking solution is integrated with ATEME’s TITAN Software Transcoder, which will be demonstrated on the ATEME stand 1.D71. The solution is based on NexGuard Software Development Kit (SDK), integrated with ATEME TITAN Software Transcoders, to enable customers to identify leaks prior to delivering content to the home over UHD and HDR-ready TVs. The combination complies with the ITU-R Recommendation BT.2020 specifying Ultra High Definition (UHD) and HDR encoding, and will deliver lifelike picture quality to provide consumers with stunning video content. The ATEME-NexGuard solution utilizes UHD 12 or 16-bit uncompressed source content to prepare HDR versions of content for Blu-Ray and electronic distribution. The images are watermarked and encoded to 10-bit Perceptual Quantizer (PQ) HDR with 45 Mbit/sec High Efficiency Video Coding (HEVC), then rendered on an HDR capable UHD TV. From its specification as an essential part of Digital Cinema security to being the core technology for tracking of pre-release files, disc screeners and eScreeners, forensic watermarking has become an essential tool in the prevention of illicit redistribution of content. 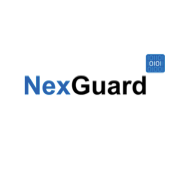 The NexGuard forensic watermarking solutions are designed to meet the full array of evolving security challenges facing the Television and Motion Picture industries across Digital Cinema, Pre-Release, PayTV and Online deployments. NexGuard demonstrations will be held during IBC on stand 2.B41 to help the industry understand how watermarking can help deter piracy by allowing content owners and rights holders to easily identify the source of a leak.